Today, the very best thing happened. This afternoon, June 28th my sister and I planned for a very normal, let's catch up telephone chat. She works and lives on a privately owned motor yacht with her husband, my brother (in law) Mark. They've been in Europe for a little over a month now. They left the morning after mine and Joe's wedding and it was probably the saddest goodbye we've shared yet. I'm not sure on the reasoning, It was just more difficult this time than most. Many funny snapchats, a silly photo we come across on the internet, a song we heard on the radio or an article of clothing that YOU JUST HAVE TO HAVE has been shared over this past month. But today was the very best exchange of all... ever! Me: Hi Seldon, how are you? Well, she did call me back about 5 seconds later and we spent the next 40 minutes talking about their first visit to a doctor in Nice, Italy, their first ultrasound, hearing the babies heartbeat, the babies due date, potential plans for the future and so many other amazingly wonderful things including scheming of how we'd tell mom and dad that they're going to be grandparents. I've imagined this day for quite some time now and while I hoped I could hug my sister and never let her go when she finally did tell me, there will be time for that still. Thank you Seldon for sharing this happy news with me on this day. The fact that you didn't wait until I actually get to hug you in... I don't know 2-3 more months makes it all the more special! Seldon and Mark are going to be such amazing parents. Seldon, you without a doubt will be the most devoted, caring and kind mother just like our own. Mark, I cannot wait to see you captain this new adventure. 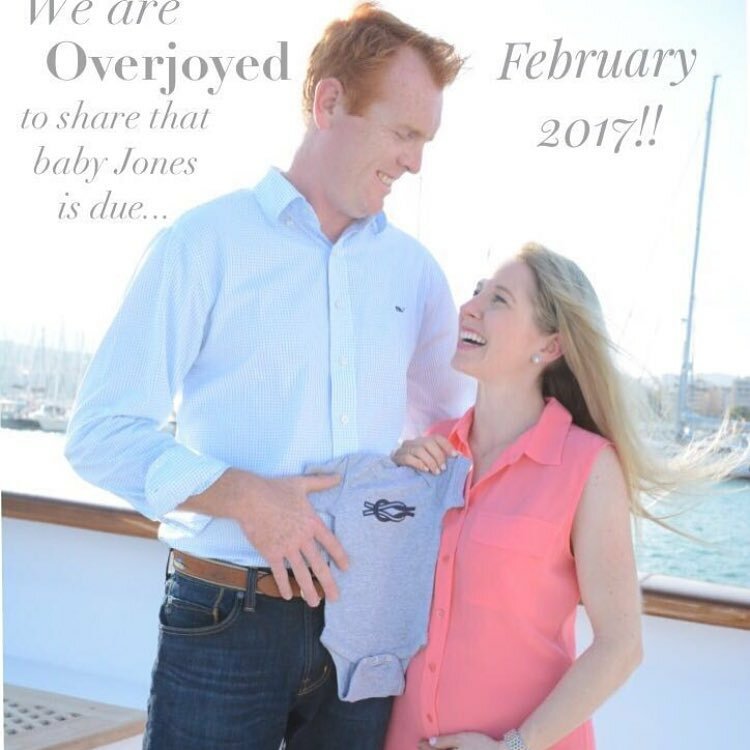 Your child will surely have salt water in its veins, a wonderfully fun personality and hopefully a hint of that British accent! Anyone else out there Pinterest obsessed? I find myself ....'pinteresting' if you will, while laying in bed at night or just at random lulls in my day. Pinterest is such an amazing source of inspiration and a wealth of information for me for not just wedding related content but business, fashion, recipes and what I've been pinning about today: Gardening and the Outdoors! With the past week being so unseasonably warm here in Atlanta, I mean come on: It was 73 degrees here just this week! I have serious spring fever. Sincerest apologies to the folks that have had massive amounts of snow as of lately, unless of course you are into that kind of weather. So with the forecast here turning back to cooler temperatures over the weekend and next week, I am hanging onto hope of an early spring. Thank you Groundhog Phil. With that, I am looking forward to doing some planting in my backyard this spring and thanks to Pinterest's plethora of knowledge, I've been learning about companion planting, when to transplant indoor seeds outside and how to keep those pesky bugs away. Now, I just need my wonderful fiancé to get on board and help me build trellis' and oh... clear some space in the backyard for a vegetable garden bed! ;) That is key. I will keep you all updated on that as spring draws closer. 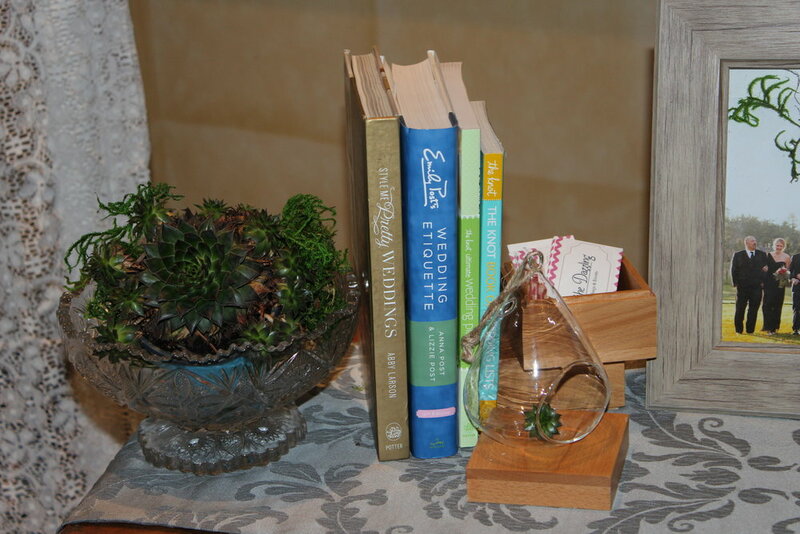 This board has a collection of my favorite pins that I've come across that would be wonderful inspiration for an outdoor garden themed wedding. Pins for both an intimate, more casual backyard soiree to your more grandiose atmosphere. Equally as beautiful and both inspired by beautiful blooms, romantic lighting and eclectic, unique touches! 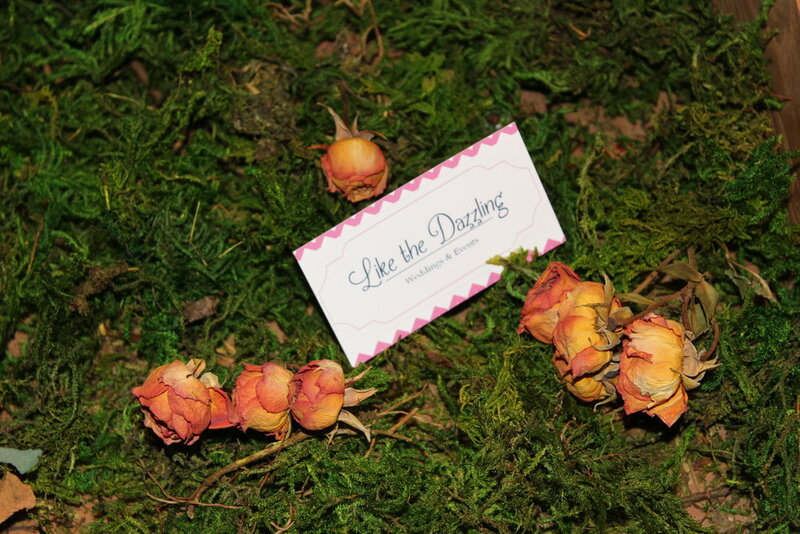 When designing your own wedding, remember to make it your own! Pinterest again, is such a great collection of inspiring ideas but make it your day, your story and you can't go wrong! 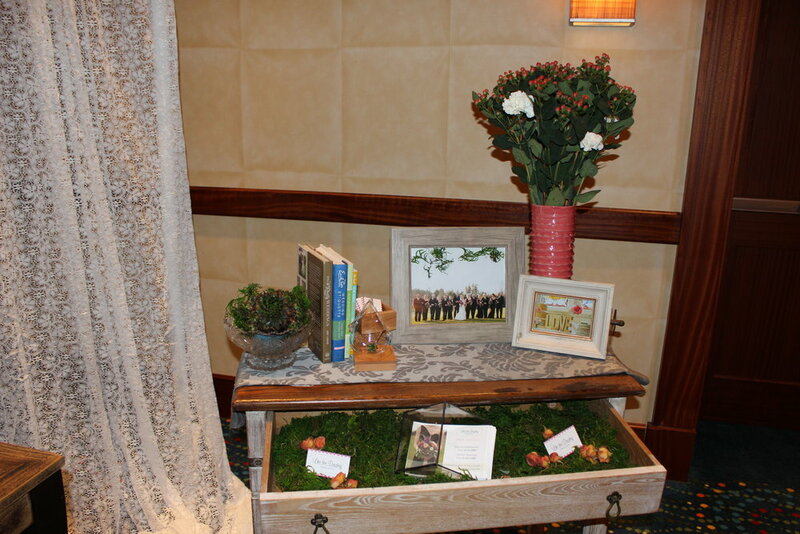 Back in September I signed on to be a vendor at the January, Bridal Ball Atlanta show at the Marriott in Buckhead. I finally made the decision to do so after months of just talking about it. Once I sent the deposit in, I was excited and honestly thankful for having finalized that decision as it really gave me that extra push I needed to make preparations. I went into the show with an 'if a book some clients, great!' attitude but also would have just been happy to make some networking connections. 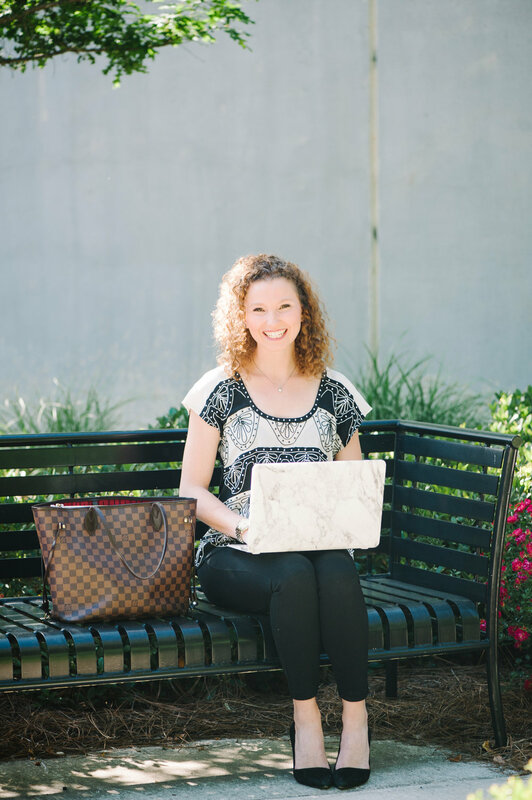 Just over two weeks later, I'm happy to say I've made great vendor contacts to add to my growing list of wonderful professionals in the Atlanta area and have been very busy meeting with potential clients. 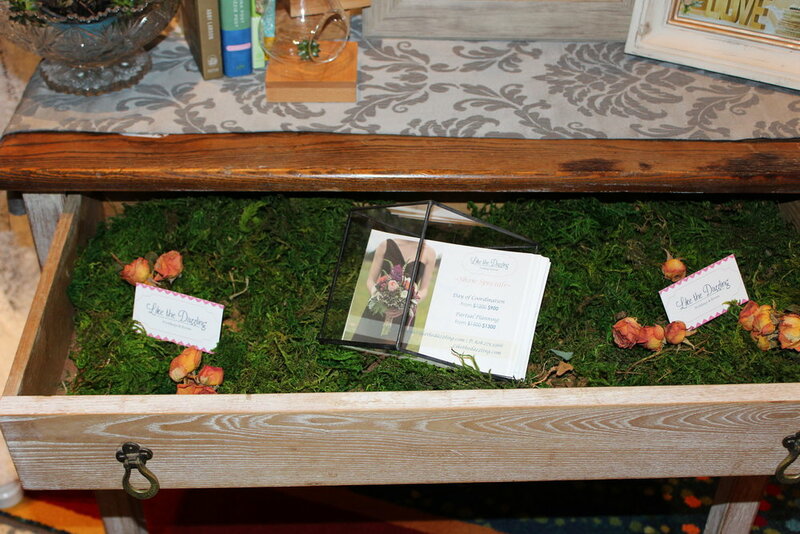 My favorite part of my booth was the moss covered drawer of this pie crust table! 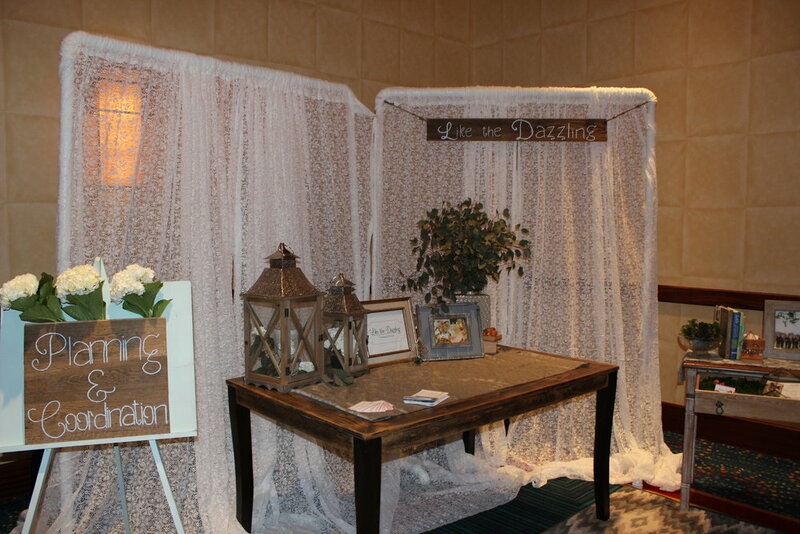 With the help of my dad, I made my own pipe and drape and lace curtains for the backdrop. My wonderful fiancé painted both my 'Like the Dazzling' and 'Planning and Coordination' signs because he is wonderful and a perfectionist when it comes to some things: in this case, straight lines! Thank you to my mom who served as my assistant for one long day as well.